Dagbashanti Khela by Suchitra Bhattacharya Bangla novel pdf file. Suchitra Bhattacharya is one of the most popular name in the world of Bengali Literature. She originally favorite among Bengali readers for her writing novels. Notable creations are Ami Rai Kishori, Hemanter Pakhi, Bhangankal, Gavir Asukh, Porobas, Dahan, Jalchhabi, Alochaya etc. 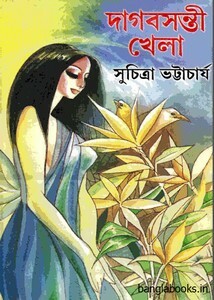 I'll share an another popular novel of her writing- Dagbashanti Khela.